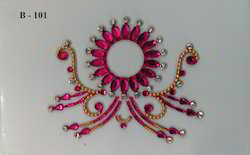 We have been regarded by our clients as one of the leading manufacturer and exporter of Designer Bindies, Bridal Bindies, Normal Bindi, Tattoos, Body Tattoos and many more. 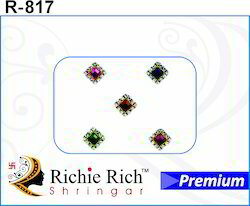 Manufactured from premium quality raw material that is procured from the certified vendors of the market, these products have attractive designs along with bright colours. 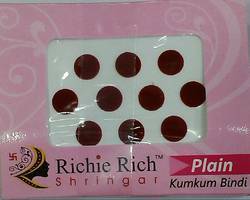 The adhesive used in these products are specially tested for its skin friendliness and non-toxic nature. 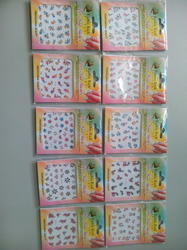 Leading Manufacturer of sticker body tattoo from Mumbai. 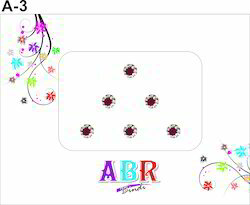 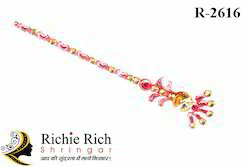 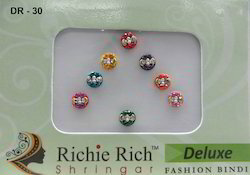 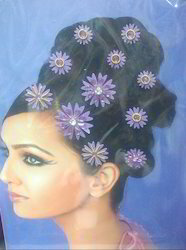 Pioneers in the industry, we offer abr bindi from India.